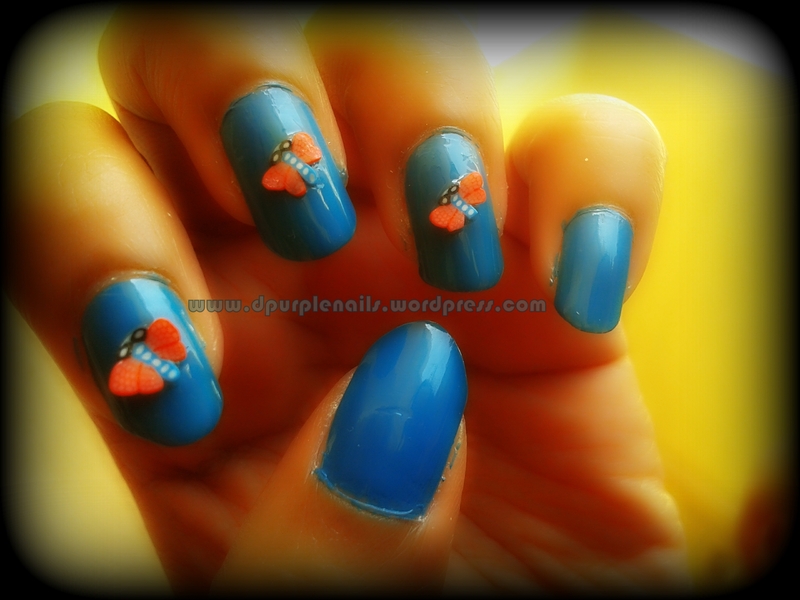 These are red heart manicure, very simple, but shiny. 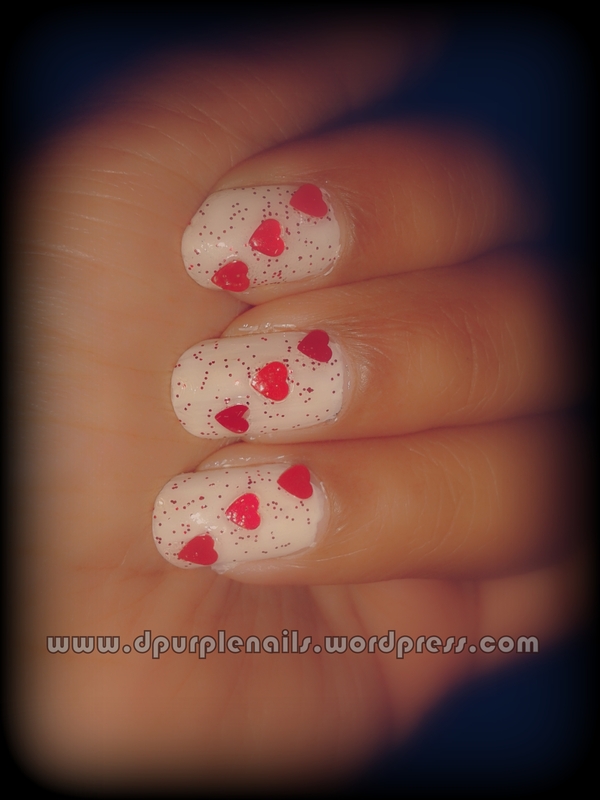 I have used white color in the background, and red glitter polish on that to give glittery look and red heart stickers. These nails are suitable for party nights with lovely red dresses 🙂 Let me know what you think about this love nails. After coming back from vacation, this is my first nail design. 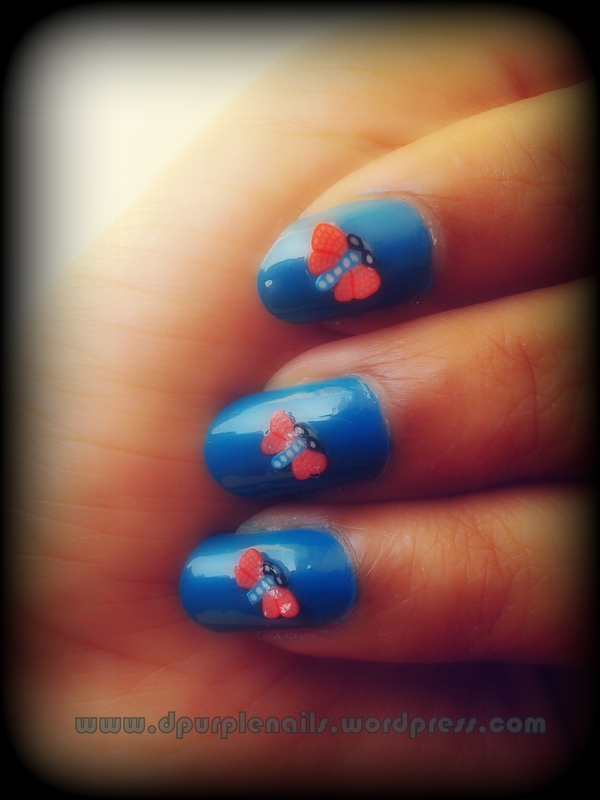 I have used a grey color shiny nail polish in background, and white flower stickers to get this look. It is very simple and pretty. You can choose the background color according to your dress color. It is better if the color is little dark. Otherwise it won’t match with the flowers.